The Christian Barnard Memorial Hospital has moved to the foreshore but the striking turquoise green, building stands proud at the intersection of Bree Street, Loop Street and Long market in the centre of Cape Town. 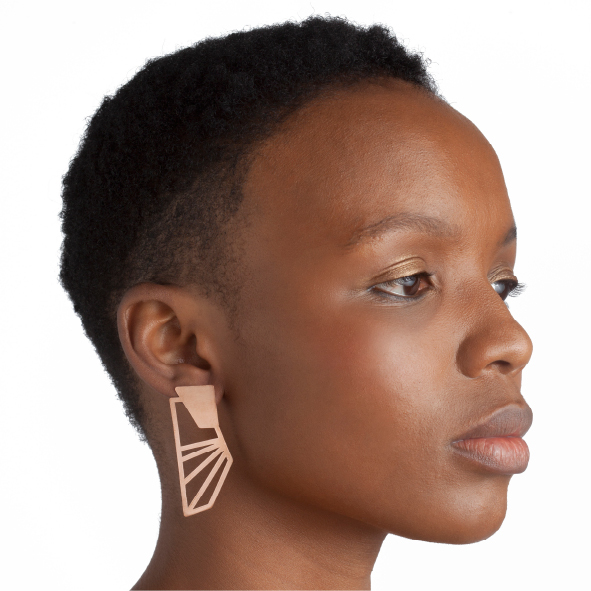 This building looks different from every street corner and the linear design elements in these earrings are from one very specific 'Look up' point. Available in rose gold plated copper with plated sterling silver studs. Size: 5cm long x 2cm wide The earrings are 5cm long x 2cm wide. 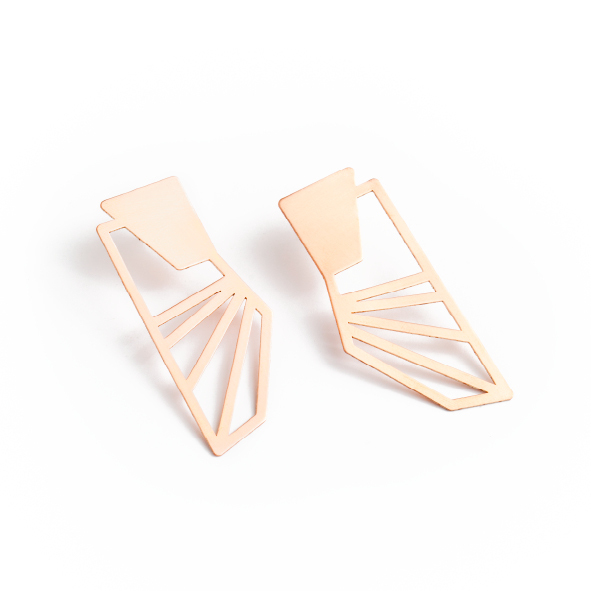 Notify me when Christian Bernard Earrings Christian Barnard Earrings is available.